That was the quote NBC analyst Pierre McGuire used yesterday toward the end of the third period of a dominating 4-1 win by the New York Islanders over the Pittsburgh Penguins. And to this blogger’s mind, that was the perfect word to use. 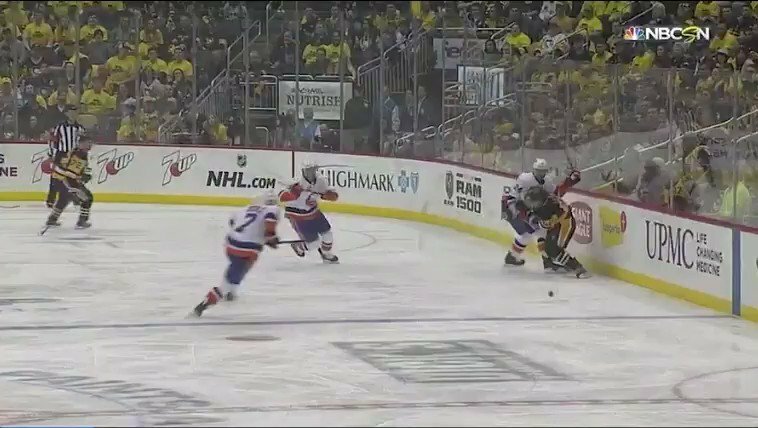 Barry Trotz’ troops played a near perfect road game in a hostile environment and never stopped working, even after they took Pittsburgh’s best punch. They stifled Pittsburgh’s big guns — Sidney Crosby, Evgeni Malkin, Jake Guentzel — for a third consecutive game. By doing that, when they knew the Pens would come out blazing, only made the victory that much more impressive. 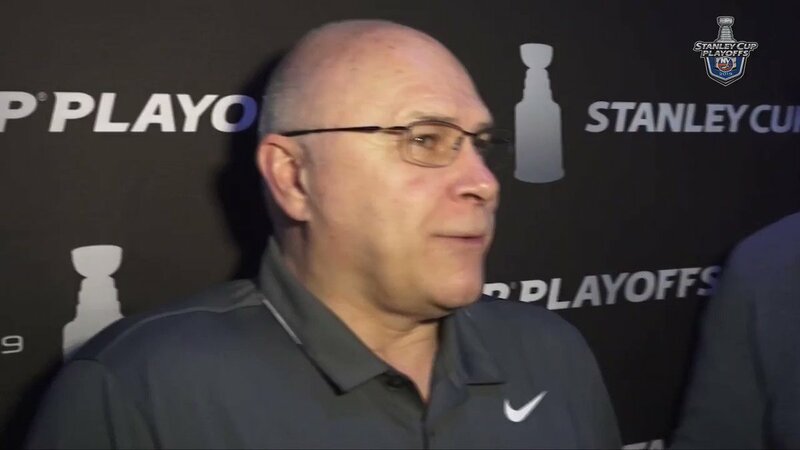 That process Trotz preaches was another example of what Isles fans have become accustomed to watching this season. 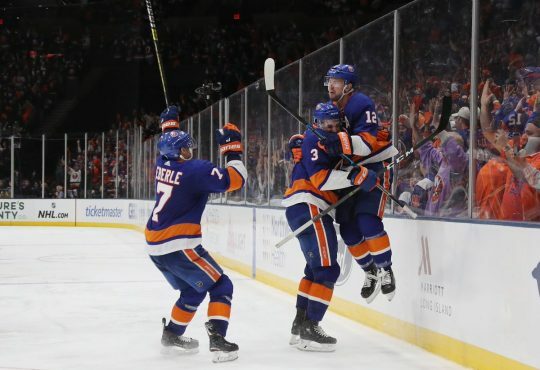 Now, that gameplan has the Isles on the verge of a sweep of the heavily-favored and championship-caliber Penguins for the first time since the franchise swept the Edmonton Oilers in the 1983 Stanley Cup Final. Trotz, the players and g.m. Lou Lamoriello, have kept it even keel despite owning a stranglehold on the series, focusing on the next game as the task at hand. The fans have seemed to follow that mentality and are also trying not to get ahead of themselves, which the fan base has done in the times the Isles have made the postseason this decade. 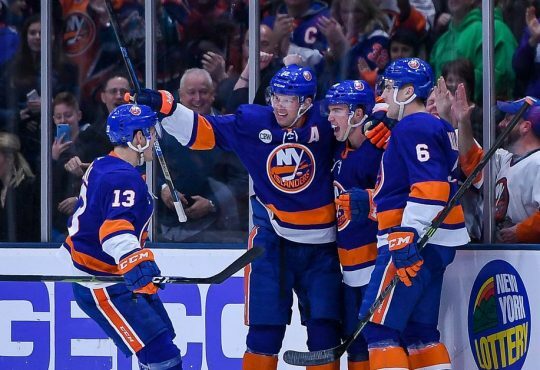 A win tomorrow night could not only send the Islanders to its second Eastern Conference Semifinals in 26 years, but it also can help cast away some of the playoff failures of years past. 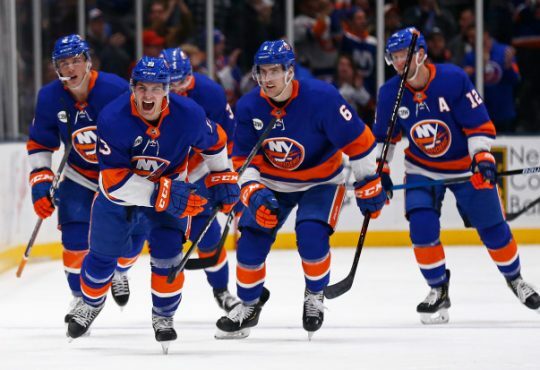 Here’s a history lesson: The Islanders have had numerous chances in their few playoff appearances to allow themselves chances to edge the series in their favor, dating back to their first-round loss in 2013. Be ready to shake your head. In their last playoff appearance before this year, 2016, the Isles were up 2-1 on the Florida Panthers heading into a pivotal game four on home ice. Three nights earlier, Thomas Hickey scored 12:31 into overtime to give the Isles a 4-3 comeback win. Game four was a chance for the Islanders to have their first 3-1 series lead in nearly two decades. But, they squandered that prime chance to really put the Panthers in a dangerous spot, falling 2-1 and going 0-4 on the power play in the process. The Islanders would eventually win the series in six on a game-winning goal by you know who, but it’s games like that were a golden opportunity. Let’s move on one round later. The Isles split in Tampa with the Lightning, winning the first game and coming up short in game two. Game three, it can be argued, shifted the series and proverbially ended it. It was a back and forth affair with the teams trading goals, but the Islanders led with under a minute to play 4-3. They would surrender the equalizer to Nikita Kucherov with 39 seconds left, eventually losing under three minutes into OT when Brian Boyle scored. That game still sticks in the minds of Islanders fans because they were the better team for a majority of the game, but they couldn’t close the door. The same scenario happened two nights later in game four. In a much tighter affair, the Islanders scored first and held a 1-0 lead with under 13 minutes left to play. They then allowed — you guessed it — Nikita Kucherov space and he tied the game again. The game would go to overtime, and once again, the Isles lost on a Jason Garrison bomb from the point. That goal gave Tampa a 3-1 series lead and basically was the nail in the coffin of the Islander season. It was just another gut punch to the team and the fans. That series is tied going back to Tampa for game five and who knows what happens? Instead, another missed chance, one that almost had a lasting effect (check 2016-17 season for reference). The year before they fell to Tampa in the second round, the Isles saw their excellent season go down the drain. Against Trotz and his formidable Capitals squad, the Isles held a 1-0 series lead and had a chance to go back to a raucous Nassau Coliseum two wins away from their first second-round appearance since 1993. Then the walls came down in the second game. Blowing a 2-0 and 3-1 lead, the Isles fell 4-3 and the series was back to being even. The old saying in hockey is whoever wins the second game usually wins the series; well the Caps would win the series in seven. Losing that crucial second game though, entirely altered the series even though the Isles did win game three and six. If they don’t blow those leads, the Isles probably go on to probably win the series. Even if it was six years ago, and against this Penguins team (different in terms of players), the Islanders had their chance to really shake the hockey world to its core. We all remember game three and their dramatic comeback after going up two goals early in the game, only to see them fall 5-4 in OT on a Chris Kunitz power play goal. Again, another game that would have put the Islanders in the driver seat heading into game four and also put a little bit more doubt in Pittsburgh as the series moved forward. 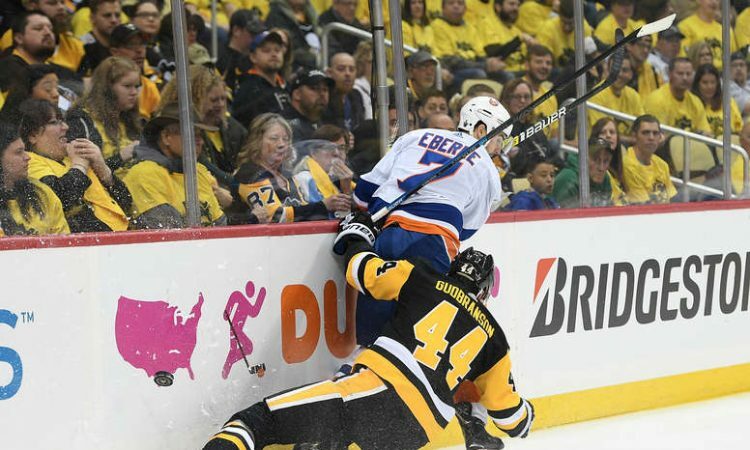 Game five, the Islanders had their chance to regain the series lead but faltered halfway through the game after a fluke goal gave Pittsburgh the game-winner. 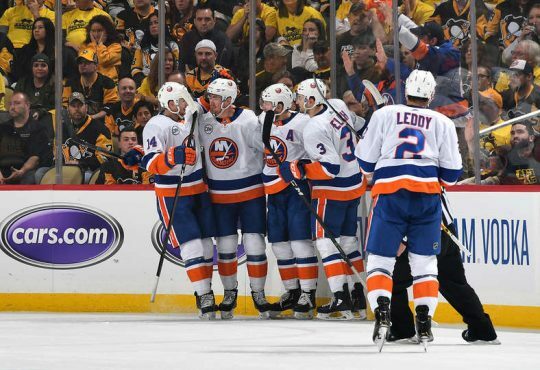 Game six, again blowing a 1-0, 2-1 and 3-2 lead, did the Isles in and kept them from having a chance to go back to Pittsburgh for a decisive game seven. If you’ve punched a wall remembering all these missed opportunities, I don’t blame you. That is why tomorrow night, the Islanders must leave not even the slightest door open for the Penguins to have any chance at a comeback. Forget the fact that it means no more playoff games at the Coliseum, the Islanders need to go out there and bury Pittsburgh. Even with a 3-0 lead, everyone — and the Islanders and its fans — are well aware of how resilient the Pens are; well aware that two future Hall of Famers are not going to just let their team lay down and die. The Penguins, and their brilliant bench boss Mike Sullivan, didn’t win two of the last three Stanley Cups without fighting to see another day. I have no doubt that Trotz and Co. will have the team ready for whatever is coming their way. He’s had this team ready to play all season long. They’ve also shown it the whole series in more ways than one that they will not devoid from what has made them successful. “We’re playing the way we should be playing,” captain Anders Lee told Newsday yesterday. “I think the results can speak for themselves. It’s still a long series. We can’t get too ahead of ourselves. We haven’t done anything yet. We put ourselves in a good position. Lee’s right, they’ve put themselves in a good position. But finishing the Pens tomorrow night and ending the series in a statement fashion, will not only make this run even more incredible but allow the organization and the fans to release those playoff failures and demons that have been lodged in the minds of fans for a long time.